James Augustine Aloysius Joyce was born on 2nd February, 1882 to John Stanlius Joyce and Mary Jane “May” Murray, at 41, Brighton Square in the south Dublin suburb of Rathgar. After graduating from UCD in 1902, Joyce left for Paris to study medicine, but he soon abandoned the course. When his mother was diagnosed with cancer, his father sent an urgent telegram: “NOTHER [sic] DYING COME HOME FATHER”. Joyce returned to Ireland. His mother unsuccessfully tried to get James to make a confession and receive communion. She finally passed into a coma and died on 13 August. James and his brother Stanislaus refused to kneel with other members of the family praying at her bedside. After her death, Joyce continued to drink heavily while scraping together a living reviewing books, teaching, and singing. James was an accomplished tenor, and won the bronze medal in the 1904 Feis Ceoil. Oliver St John Gogarty, a medical student and aspiring poet, rented a demilitarised Martello Tower in Sandycove and invited the 22-year-old James Joyce to join him and Samuel Chenevix Trench, an Anglo-Irish friend of Gogarty’s. Trench was obsessed with Irish culture, but also had very unusual dreams. The three men slept in the round room on the first floor of the Tower. On Joyce’s sixth night, Trench woke up suddenly after dreaming of a black panther, and proceeded to get his revolver and shoot at the animal. Gogarty took the gun off him and let off a few rounds himself. A petrified Joyce left the Tower, never to return. A month later, he left Ireland for good to embark on a literary career on continental Europe. 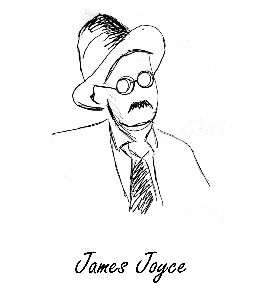 Joyce is best known for Ulysses (1922), which opens on the roof of the Museum and references the black panther incident in its opening episode, ‘Telemachus’ . Other well-known works are the short-story collection Dubliners (1914), and the novels A Portrait of the Artist as a Young Man (1916) and Finnegans Wake (1939). Joyce died on January 13, 1941, following complications from an operation on an ulcer. Nora, who married Joyce in London in 1931, survived him by ten years. Joyce is buried in Zurich with Nora and his son Giorgio (who died in 1976) by his side. "The only demand that I make of my reader is that they should devote their whole life to reading my works."